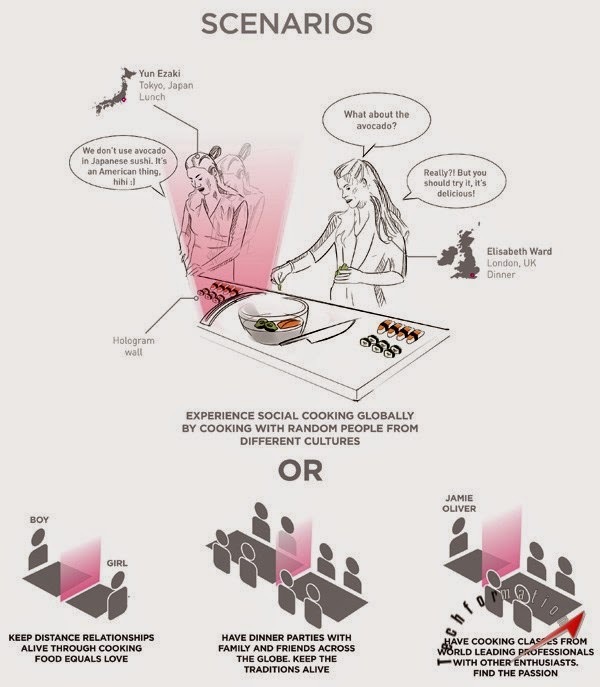 Traditional ways to learn cooking gone behind with the usage of internet where people are googling recipes for their favourite dish to prepare. 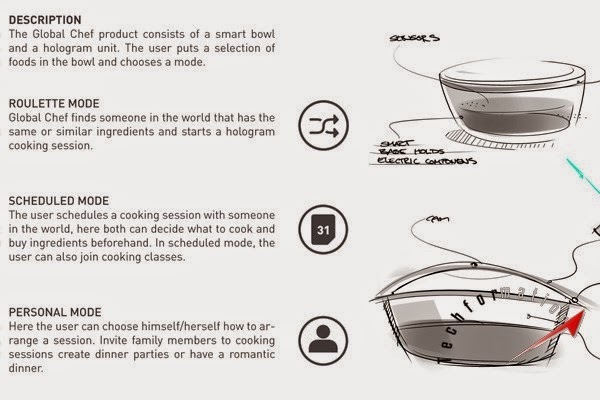 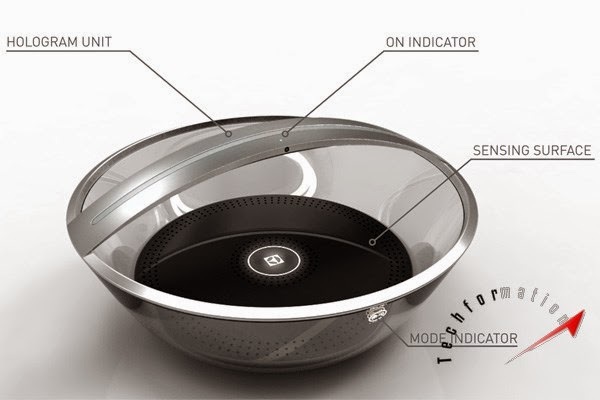 And with this 'Global Chef' device concept, users do not need to worry on how to learn cooking. 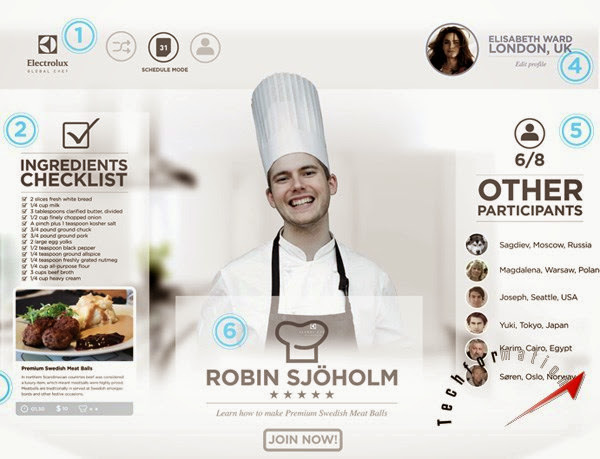 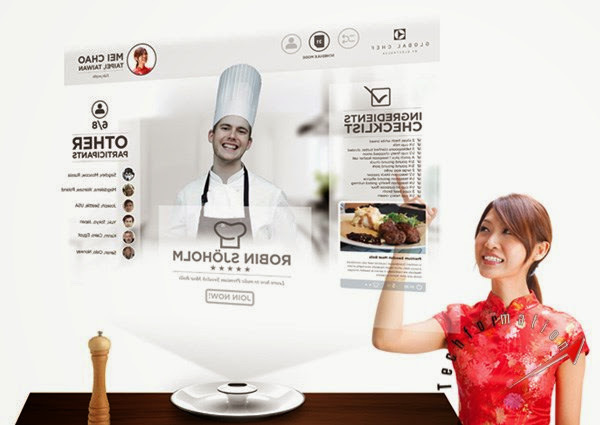 Global Chef is a virtual kitchen concept, where people can interact with chefs worldwide and your friends holographic-ally to cook mutually. 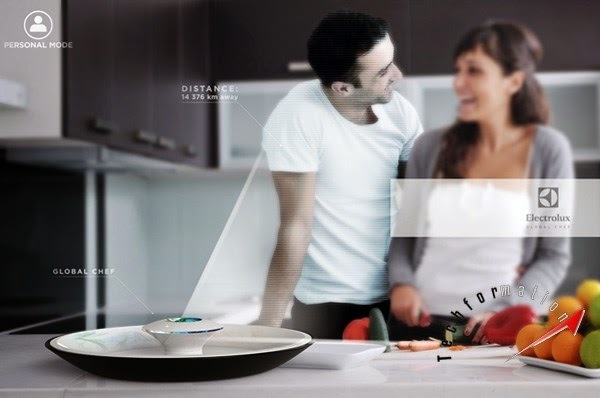 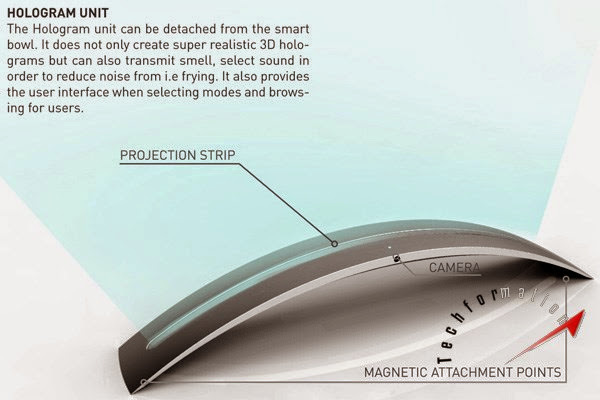 The device looks identical to a plate with a holographic set up, a camera and a sensor to detect the fragrance of the surroundings. 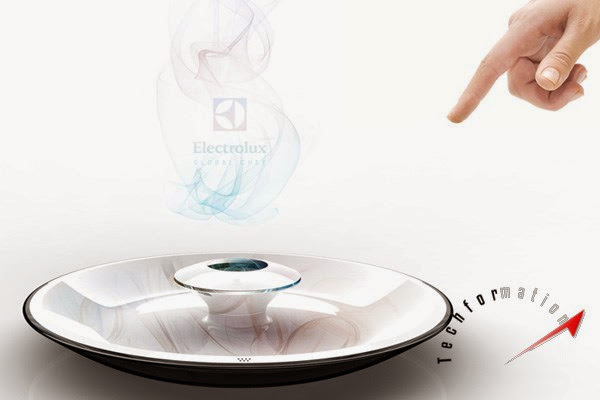 It is only having a single button to ignite the set up and will be operated in 4 modes. 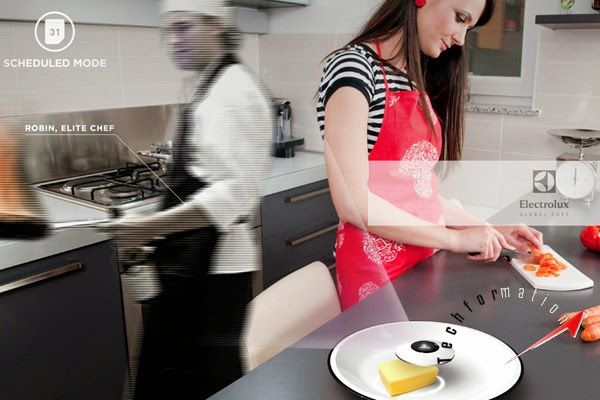 It automatically senses your surroundings and notes down the ingredients in your kitchen and suggests all possible recipes that can be prepared. 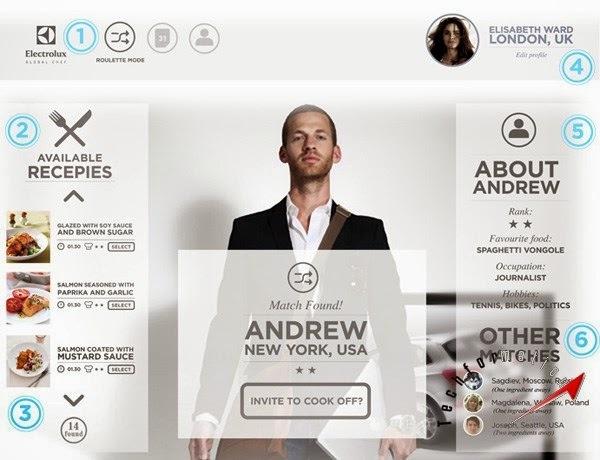 Additionally, it even connects popular chefs and friends online for cooking sessions.